By 1690, buccaneers had effectively disappeared from the Caribbean, but a new breed of pirate with larger crews, larger targets, and permission for their violence, began to venture out of the Caribbean to the coasts of Africa and the Indian Ocean. 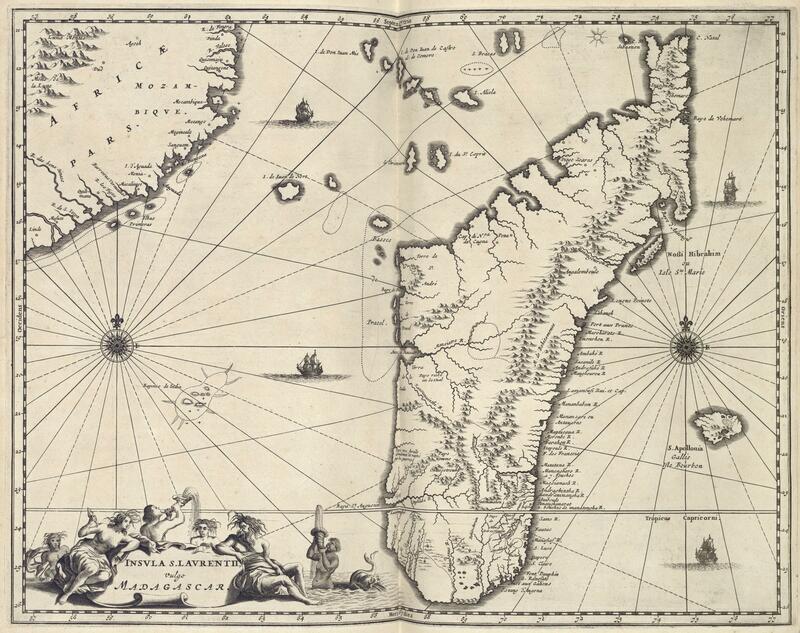 New pirate havens were created in such far-away places as Madagascar and St. Mary’s Island. Established as a trading post in 1691 by former buccaneer Adam Baldridge, St. Mary’s Island supplied provisions to pirates and privateers in exchange for looted goods which were sent to merchants in New York. The island provided a natural harbor for pirates and privateers. In 1700, a visitor to the island reported 17 pirate ships in the harbor and about 1500 men living in the town. The War of Spanish Succession (1701-1713) provided temporary relief from piracy, as pirates were able to find legal employment as privateers for the government. However, when the war ended, piracy resumed. Discharged soldiers joined pirate crews by the thousands, and piracy in the Caribbean reached previously unparalleled heights. New Providence, Bahamas served as the new pirate headquarters as of 1716, before the arrival of the British governor, Woodes Rogers in 1718. Rogers offered a pardon to all pirates which was not widely accepted. Pirates resumed activity in the Indian Ocean, also raiding slave posts along the west coast of Africa. By 1720, there was an estimated 1,500 to 2,000 pirates operating in the Caribbean and North America. The pirates of this generation attacked ships of all nations, wreaking havoc on the Atlantic trade system, focusing on strategic zones: the West Indies, North America, and West Africa. These pirates had a detrimental effect during a time of stabilization and expansion of the economy that funded the revival of imperial powers. 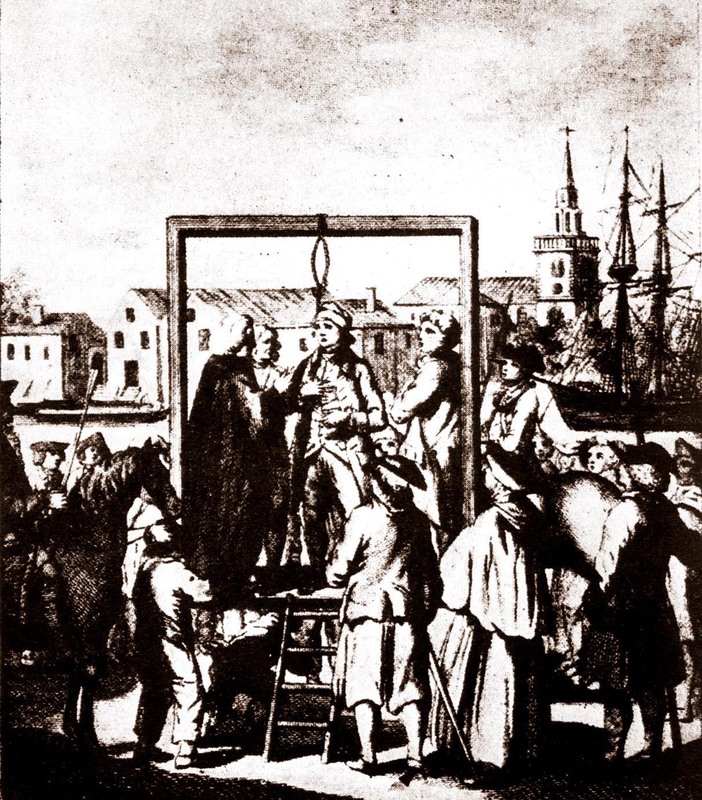 The Golden Age of Piracy effectively ends in 1726, with the hanging of the last prominent pirate captain, Captain William Fly, in Boston. Beginning around 1722, the struggle between pirates and those seeking to destroy them – the Royal Navy and English merchants – became murderous, and hundreds of pirates were killed in battle or on the gallows. The pirates who remained became more violent in their endeavors, killing many of their captives. With the knowledge of his fate, the pirate became more concerned with fighting for survival than obtaining goods. The pirates of the Golden Age completely disappeared from the Atlantic by the 1730s. -Bradford, Alfred S. Flying the Black Flag: A Brief History of Piracy. Westport, Connecticut: Praeger, 2007. -Cordingly, David. Under the Black Flag: The Romance and the Reality of Life Among the Pirates. New York, New York: Random House, 1995. -Kuhn, Gabriel. Life Under the Jolly Roger: Reflections on Golden Age Piracy. Oakland, California: PM Press, 2010. -Rediker, Marcus. Villains of All Nations: Atlantic Pirates in the Golden Age. Boston, Massachusetts: Beacon Press, 2004.